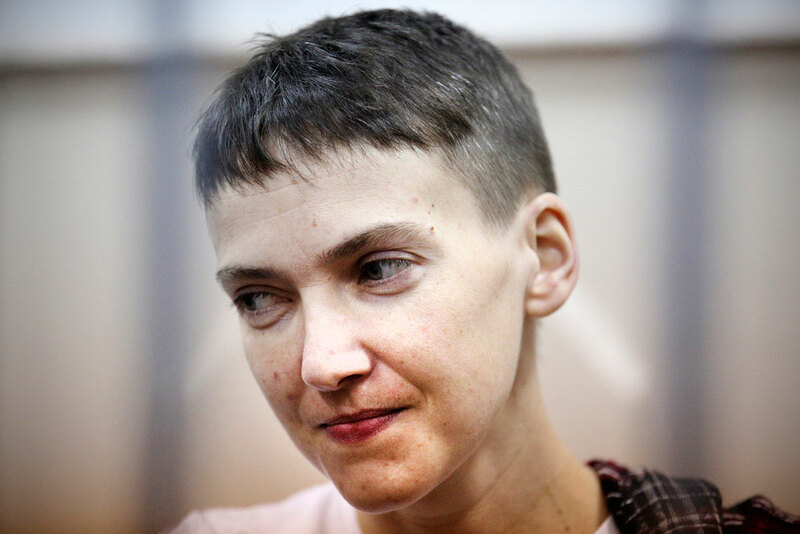 Ukrainian pilot Savchenko found guilty of death of Russian journalists in Ukraine. Maryna Poroshenko, the wife of the president of Ukraine, has asked Michelle Obama, the wife of the president of the United States, to join the campaign to free and return to their homeland the Ukrainians who are under arrest in Russia, including Nadiya Savchenko. "I am hoping that your voice will not only join the international campaign for the liberation and return home of Nadiya Savchenko, but will also give a new impetus to the process of the liberation of the other Ukrainian citizens, including Oleh Sentsov, Oleksandr Kolchenko, Hennadiy Afanasyev, Ahtem Chiygoz, and other pawns of the Russian punitive system," Maryna Poroshneko said in her letter, which was quoted by the Ukrainian presidential website on March 21. Maryna Poroshenko recalled that the name of the Ukrainian pilot was among the names of the 20 women who are political prisoners and prisoners of conscience declared in the Free the 20 Campaign founded by the U.S. government in September 2015. She said Savchenko's future depends on the unity of efforts and solidarity of the international community and the pressure on the Russian administration. The Donetsk City Court, Rostov region of Russia, is reading the sentence handed down to Savchenko on March 21-22.